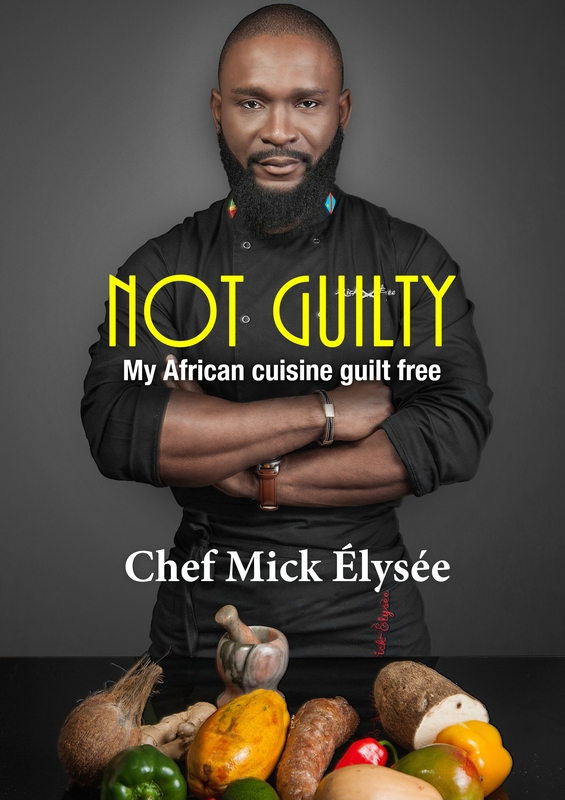 I was recently lucky enough to be invited to be part of the blog tour helping to promote Chef Mick Élysée’s new book, Not Guilty. I have to admit, until this tour I hadn’t heard of Mick (sorry), but I am so glad I have now been introduced to his recipes! Before I tell you about the wonderful new book, let me tell you about Chef Mick Élysée, as his story is inspirational. Mick grew up in the Republic of Congo, where he loved watching his mother cooking, and sneakily pinching food from the pot when she wasn’t looking. Sadly though, his happy life was soon to be turned upside down. In 1993, at the height of the Congolese Civil War, several of his family were killed. This meant that at the age of 14, Mick arrived in France as a refugee and had to adapt to a new life in an unfamiliar culture. He struggled academically, as he was not used to the French school system, but his passion for food shone through and gave him the strength to get through this traumatic time. He devoted his time to learning all about European cuisine, and in 1997 he was accepted into one of France’s most prestigious culinary schools. There, he began his classical training and worked under Michel Toulousi and Jean-Marc Desclaux. At the age of 22, just 8 years after arriving in France, Mick and his business partner opened a restaurant called La Gascogne, which received critical acclaim. Today, Mick’s roots in the Congo play a huge part in his life. 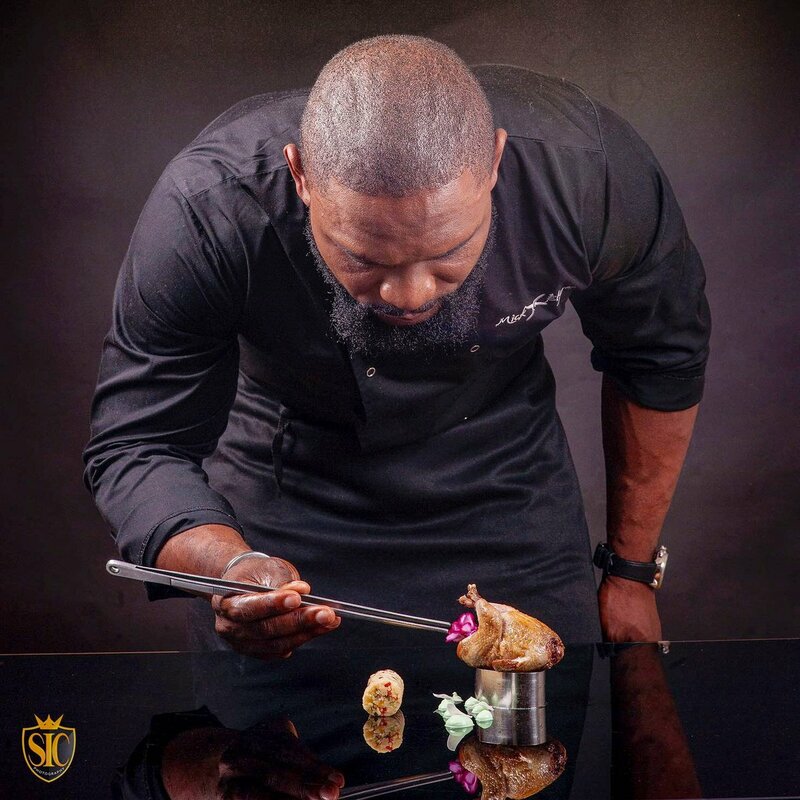 As well as the influence they have in his Afro-Fusion recipes, he is also passionate about giving back to the communities there. He regularly works with orphanages in Brazzaville and Kinshasa, and with a free school for children with physical and mental disabilities. He also provides cookery workshops for young people from disadvantaged backgrounds, as well as educational support to equip them with life skills. What a truly amazing man! Mick’s long-awaited book Not Guilty was published just a few weeks ago. It features healthy African recipes including starters, snacks, main meals and desserts, as well as stocks to use as bases for other dishes. Every recipe has a beautiful vibrant photograph of the end result as well as step-by-step instructions on how to make them. The photographs are mouth-wateringly tempting, and I’m looking forward to making lots more of them in the near future. The book has encouraged me to look at ingredients I have never used before, and that really excites me. Exotic fruit and vegetables, and meats I have never eaten let alone cooked, this book takes you on a wonderful taste adventure. I had never eaten plantain until making these, and the recipe requires 1 very ripe plantain. As I was unfamiliar with cooking with plantain I did a bit of research so I could tell when one was ready to use. I had presumed they would be like bananas as they look so similar, but I was wrong! Plantains are used in both sweet and savoury cooking. Many savoury recipes require them to be very hard and not too ripe. In those cases it would be best to use plantains when the skin is still green. The riper the plantain, the sweeter it becomes. The shop where I bought mine sold them when they looked yellow. These are ripe, but not quite enough. I discovered that they can take weeks to fully ripen, unlike bananas which take a few days. I didn’t have weeks after I had bought mine so I read that you can ripen them quicker by placing them in a paper bag with an apple. The apple produces a gas which aids the process. I did this with one of the ones I bought, and it worked! The one in my main picture is nowhere near ripe enough, even though it is looking a bit blackened. A perfectly ripened plantain has a black skin which looks very slightly wrinkled. 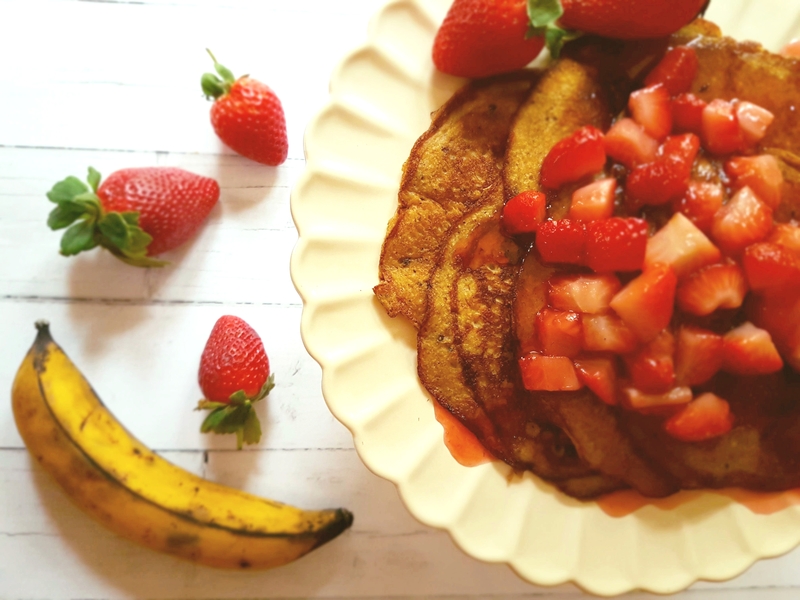 Imagine the look of a banana when it is too far gone to even use in recipes… that is how a very ripe plantain looks, and that is how it needs to be for this recipe. I used one like this in the pancake recipe. To get the fruit out of the skin, simply slice each end off with a sharp knife and cut a slit from one end to the other. You can then easily peel the skin off in one go. Very ripe plantain is soft and a lovely yellowy-peachy colour inside. This means it is really easy to blend in recipes. 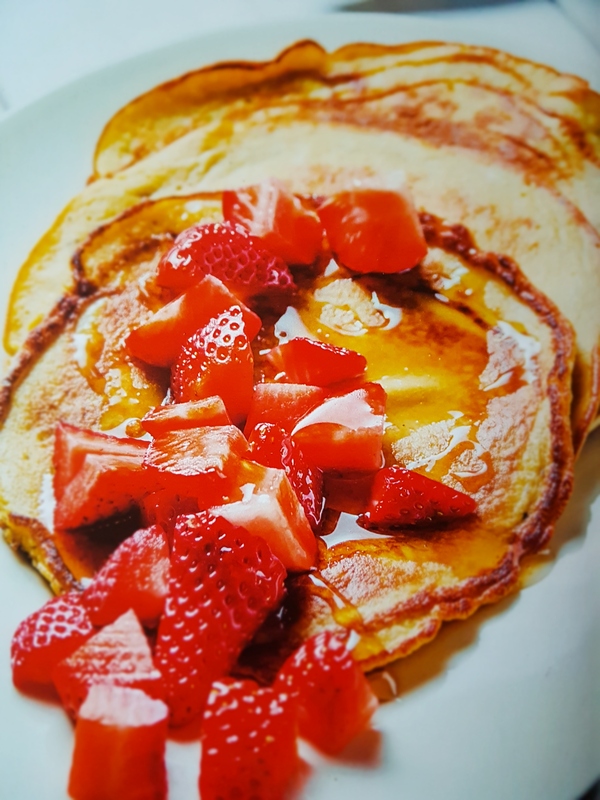 And speaking of recipes, here is the pancake one for you to try too. Split the vanilla pod in half lengthwise, and then use the tip of a knife to scrape the seeds out. Combine the plantain, eggs, cinnamon, milk and vanilla seeds, and blend together until you get a creamy paste. (I did this in a food processor by blending the plantain first until it was lump-free and creamy, then beating in the rest of the ingredients with a spoon). Place a frying pan over a low heat, add 1 teaspoon of coconut oil, and fry one pancake until the bottom is golden brown. Flip it over and cook until that side is golden too. Repeat until the mixture is all used up, using 1 teaspoon of coconut oil for each pancake. Using the same frying pan, heat 1 tbsp of coconut oil. Add the strawberries, stir quickly to coat them in the oil, then add the honey. Cook for 1 minute until the juice reduces slightly, then remove from the heat. Place the pancakes on a serving plate, spoon the strawberries on top, and then finish with the honey sauce. So what did I think of my very first plantain experience? I loved it! The coconut oil adds a wonderful flavour, and the strawberry honey sauce adds an extra hit of sweetness which is just divine. My honey sauce took on the colour of the strawberries and went a lovely shade of red, so it didn’t look like the photograph in the book but it still tasted amazing! I am looking forward to making more of Chef Mick Élysée’s delicious recipes very soon. His Jollof Quinoa and Roast Chicken, and his Papaya Tart recipes are next on my agenda from this book. Yum! I was recently approached by a lovely lady from the very well-known brand Organix, who asked if Luke would like to try some of their snacks. Now I’ll be honest with you, I had heard of Organix. Who hasn’t?? They are a HUGE brand and leaders in healthier snacks. Luke had many of their finger food snacks as a baby and toddler and absolutely loved them (especially their apple rice cakes), but I stopped buying them when he started school. I had no idea that they did snacks for older children though! 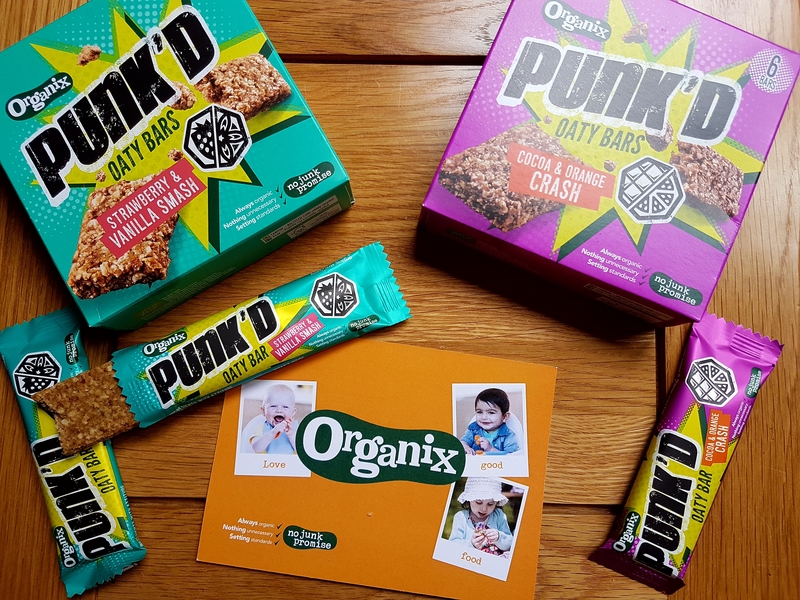 I was sent two boxes of Organix Punk’d Oaty Bars. These are aimed at primary school aged children from 5-11 years old. They are available in 2 delicious flavours: Strawberry and Vanilla Smash, and Cocoa and Orange Crash. There are 6 bars in a pack, each individually wrapped, making them perfect for school lunchboxes. Most schools now won’t let children take unhealthy things in their lunchbox, so these are perfect! The packaging is cool and funky, and I personally love the name. If you are “punked” you have had a trick played on you. The trick with these bars is your child won’t realise they are eating something that is actually good for them. Bonus! The long school Summer holiday is here and if your child is anything like mine, they’ll be constantly looking for snacks. It never ceases to amaze me how much Luke can eat during weekends and holidays. He must be starving on school days having to wait 3 hours between food!!! I always make sure the fruit bowl is full and there are yoghurts in the fridge, but sometimes he just wants something unhealthy and sweet. Punk’d Bars satisfy those sweet cravings, even though they are healthy. And because they are made mainly from oats and sultanas they are filling too so keep him going until mealtimes! I am keeping a permanent supply of these bars in the cupboard! They are a good source of fibre and protein, and are suitable for vegetarians. All of the ingredients are organic, and the sweetness comes from naturally occurring sugars from the fruit. Organix have a No Junk Promise, and there is nothing artificial in any of their bars. These bars would also be ideal for days out, as they are so conveniently packed to have in your bag or coat pocket. Organix products are available in many supermarkets so are very easy to get your hands on. If you want to find out more about their range of products for each age group, click HERE to go to the Organix website. Organix sent me some delicious healthy recipes to try out and some great tips on healthy snacking, so look out for those posts over the next few weeks! DISCLAIMER: I was sent the Punk’d Bars for free in return for an honest review. I only recommend products or services I genuinely like, as honesty is at the heart of my blog. All opinions are my own honest views.